Jurassic World: Fallen Kingdom has been out for a couple of days now in the UK, and having seen it, it’s time for me to do the thing and answer the question: just how accurate are the new dinosaurs? First, however, let me preface everything with a gigantic SPOILER WARNING! I will be going into detail on things that happen in the movie so please be advised that it is best to watch it first. The blog will still be here upon your return from the cinema! I also want to nip in the bud any sense of my being a pedantic party pooper – I’m aware that this movie is just supposed to be entertainment and not a documentary, and a few wonky-looking binosaurs aren’t the end of the world. I just find it interesting to think about how the movies compare to actual science, and this blog is for people who also find it fun to think about that. So I don’t want to seem too judgemental or critical! It’s just a bit of fun. So here we go! Fallen Kingdom features a number of franchise-first dinosaur appearances, most notably by Baryonyx, Carnotaurus and Stygimoloch, and also featuring Sinoceratops (no doubt in order to appeal to the Asian market) and a juvenile Allosaurus; but before we get onto critiquing those for accuracy (and actually, many of them aren’t too bad), I do have some nerd raging to do over the state of Jurassic World‘s returning Stegosaurus. What a disaster! Not only were they presented as being droopy-tailed (a reconstruction that by this point is at least thirty years out of date), they have also endowed it with bizarre fleshy horse lips for no reason at all, instead of the sharp beak it ought to have. Worse, they insist on putting this front-and-centre, in close-up, during the sequence in which Wheatley steals one of its teeth, just so that everybody can see how stupid this looks. It’s completely bizarre how bad the depiction of this dinosaur is. Stegosaurus ought more correctly to be restored with its tail held high – you know, like it was already in the 1997 movie The Lost World: Jurassic Park, in which movie, I should add, it was also shown with a beak. So, thanks for making it much worse? I can turn a blind eye to inaccuracies inherited from the previous movies; for example, introducing feathers to the raptors at this point would be a continuity fail and I would prefer they maintained the internal logic of the Jurassic Park universe. But why make a dinosaur depiction less accurate? Doesn’t anybody at ILM have Google?? 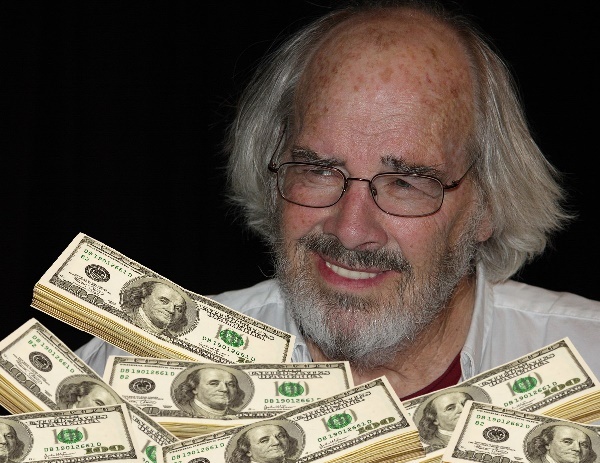 They do still have Jack Horner on as a consultant. I just can’t understand how this sort of thing happens. I’m sorry, Dr. Horner, I’m only playing. Honestly, this is a pretty good Carnotaurus. The stumpy little arms, silly-looking though they are, have actually been made less ridiculous for the movie than they are in real life. 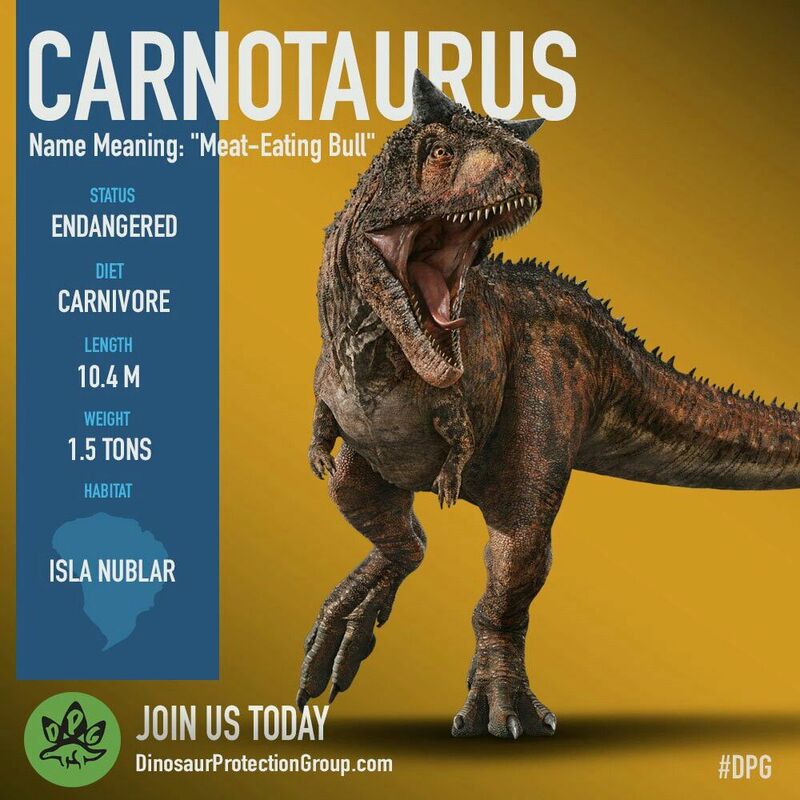 Carnotaurus belongs to a family of dinosaurs known as the abelisaurids, a group of theropods with distinctively stubby, presumably vestigial forelimbs – in fact Carnotaurus has the proportionately shortest arms of any large carnivorous dinosaur. It definitely shouldn’t have a distinct elbow crease like this, and its forearm should be about a quarter of the length of the upper arm. They’ve done a good job with the various scutes and bumps that Carnotaurus sported on its back, and although I could split pedantic hairs about the distribution of scales (the skin of Carnotaurus is unusally well-documented), I can’t fault this reconstruction for the most part. It’s fine. Thumbs up! Let’s move on to Stygimoloch, the possessor of my favourite dinosaur skull. I fell in love with it when I first saw it on display in Berlin years ago; it’s just so… gnarly-looking! Anyway, as you can see, they’ve increased the size of “Stiggy”‘s skull dome and gotten a bit creative with adding more horns around the crown. 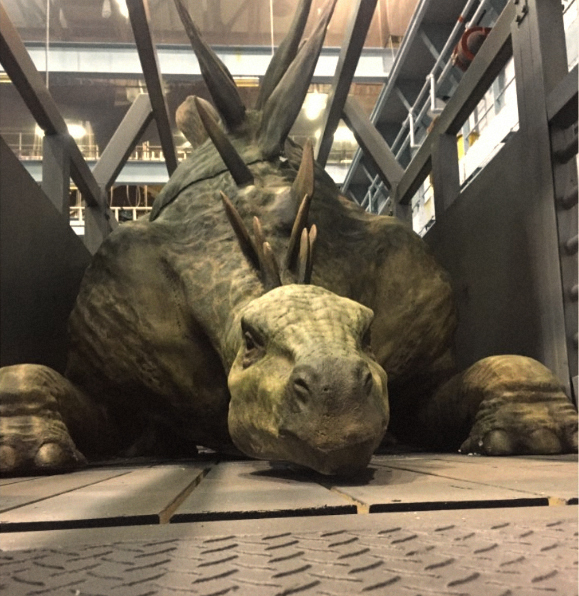 He’s about the right size in the movie, though – this was not a big dinosaur. 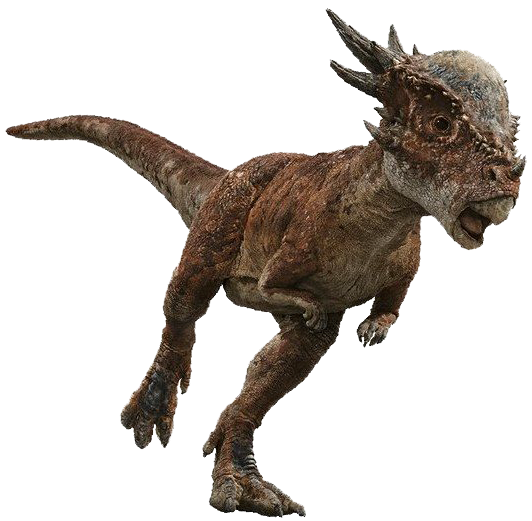 In fact, there’s currently some disagreement about whether Stygimoloch is a valid dinosaur name at all – it’s been proposed that what we call Stygimoloch is actually better considered to be juvenile specimens of Pachycephalosaurus. This theory was originally championed by Jack Horner, as it happens, and I’ll retract my teasing earlier, because he says he did at least complain about this aspect of the movie! 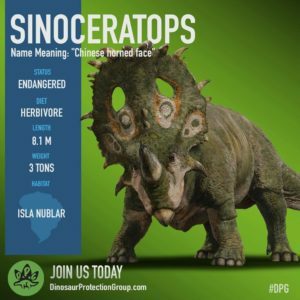 Ah, Sinoceratops. What to say about you? I’m dying to say that those two holes in the frill, obviously done to make the animal more distinct from Triceratops, are extremely silly; I’m not aware of a single extant animal that has exposed holes in its skull bones like this, and whilst the skull of Sinoceratops (and many other horned dinosaurs) does indeed show large fenestrae (“windows”, literally), we would most certainly expect them to be covered with skin. That being said – I did an awful lot of research on this topic, and asked around, and I couldn’t actually find anybody who could tell me that this particular arrangement as seen in the movie was impossible (and I would ask that if you, dear reader, should happen to know of a paper or somesuch that would influence the issue, would you kindly share it in the comments?) 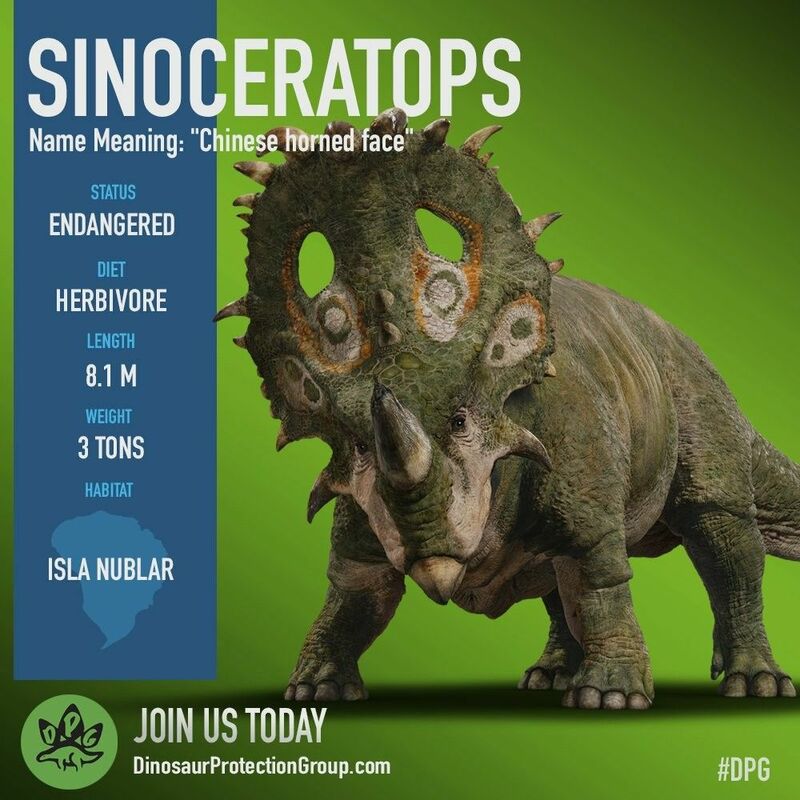 – and so, with a frown, I’m going to cautiously give my seal of approval to Fallen Kingdom‘s Sinoceratops as being not so much wrong as just… rather unlikely. I can’t say I’m very confident in this assessment though, and would not be surprised to have to revise it in due course. Oh, and that frill probably shouldn’t be standing upright so much, by the way – think more “swept back” – and is it just me, or does this dinosaur look like he’s been eating too many pies? He’s certainly got a big ol’ belly on him. Sorry for the dodgy image, it’s hard to get decent screenies of a movie that’s still in theatres. Allosaurus, on the other hand, is a rather better-known dinosaur to the general public, and much beloved by anybody who remembers treasuring a childhood dinosaur book, so it’s nice to see one here, even if it doesn’t look quite the way I’d expect. The lacrimal horns atop the head are quite exaggerated and rather surprising in their backward sweep, although I suppose it’s just about conceivable, given that they would likely be covered in keratin which could at least in theory extend the horns in a direction perhaps not apparent from the skull bones. But again Jurassic World: Fallen Kingdom is getting heavily into bed with artistic license, and I just can’t sign this one off as a good Allosaurus – the snout is completely the wrong shape as well, and it was very much the case that when this dinosaur appeared in the movie’s first trailers the fan community on Twitter in particular suddenly seemed to be full of people arguing about what it was even supposed to be, and that’s never a good sign (and the debate only really got settled when an official verdict was gleaned from movie sources). There’s a thing that the Jurassic Park movies do occasionally, which is to take an interesting dinosaur with unique features and then redesign it in a way that minimises or removes those features (Dilophosaurus, for example), and now poor old Baryonyx, the British spinosaur, has undergone this process. The real dinosaur should have quite an enlarged “killing claw” on each of its hands and a very noticeable ‘notch’ in its upper jaw, both of which are barely distinguishable in the movie, and the dinosaur’s jaws seem rather chunkier in general than you would expect. 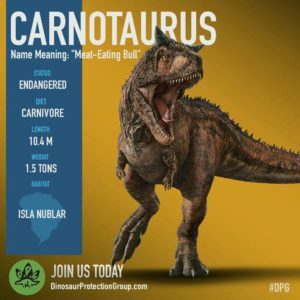 I did want to talk about some of the behavioural aspects of all of the dinosaurs in this post, however, which complicates the Baryonyx issue a little. Baryonyx was partially a fish-eater – a pesky piscivore – and liked to be around water, we think; the scientific consensus is that it probably was not a fully aquatic dinosaur, but that as a member of the spinosaur family (fun fact, Baryonyx was originally going to be the main dinosaur of Jurassic Park III at some stage of the development of that movie) it may have sought water and submersion from time to time as a means of thermoregulation, sort of like a crocodile. Crocodiles, being “cold-blooded”, are unable to control their own body temperature without the aid of external factors such as direct sunshine to warm them up, or shade and water to cool them down. If we do assume for the moment that Baryonyx might have behaved in a similar way, then during a powerfully hot volcanic event I wouldn’t be surprised at all to find this dinosaur taking refuge in a dark, damp pipe somewhere underground. So I’m going to award a point to Fallen Kingdom here, although – I hate that I have to be such a grump today – I’m going to have to swiftly take it away again, because the dinosaur’s behaviour when the lava starts to fall is a bit bizarre. Some animals are not instinctively afraid of fire, fair enough, but they sure as hell ought to be after they’ve had scalding hot lava poured on their snout. You would think that the dinosaur sustaining an agonising burn would buy the humans at least a little time to escape whilst it howls in pain, but it has a role to fill as an enraged, unstoppable movie monster with a thirst for human blood, so of course it barely seems to notice. I have a few other miscellaneous observations to make on the subject of animal behaviour in Fallen Kingdom. For one, what exactly is Stygimoloch‘s motivation for persisting in smashing itself into a brick wall head-first from point-blank range? Yes, it is a pachycephalosaur, and yes, pachycephalosaurs presumably engaged in some sort of headbutt-oriented behaviours (perhaps butting each other in the flanks as a dominance ritual). But it’s hard to imagine what such a creature would get out of habitially running headlong into solid walls at the slightest provocation except damage. 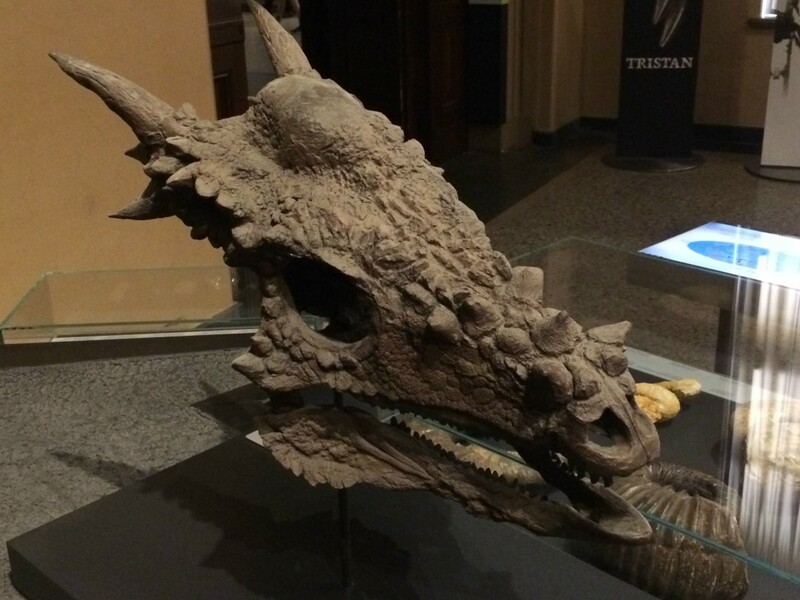 Not that JW:FK‘s Stygimoloch seems to sustain even a tiny scratch as a consequence of having destroyed a wall with its head. Um, sure? Well, that was all I wanted to say about Jurassic World: Fallen Kingdom! Did you enjoy the movie? Did you find this article interesting? Let me know in the comments below, and thank you for reading! I will see Jurassic World: Fallen Kingdom this Friday on June 22 and I will probably enjoy it because I am a huge Dinosaur and Jurassic Park/World Fan and your article was very interesting. Post Some More.